Anyone can plan a picnic, but there’s an art to hosting a really memorable outdoor gathering. Anyone can plan a picnic, but there’s an art to hosting a really memorable outdoor gathering. 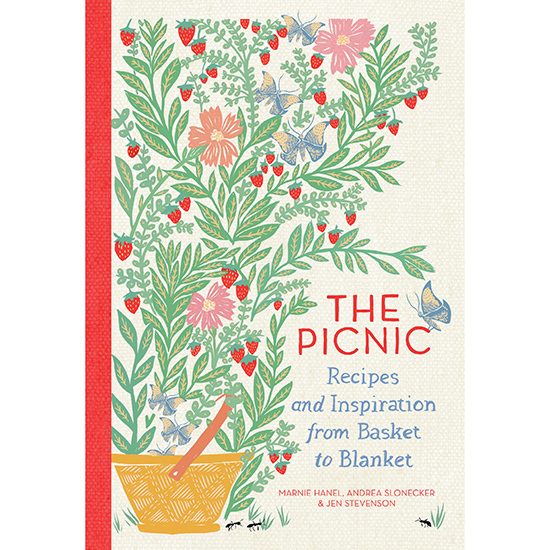 Since 2011, Marnie Hanel, Andrea Slonecker and Jen Stevenson have been fine-tuning their picnic expertise as the Portland Picnic Society, and they recently wrote The Picnic, a cookbook and primer detailing everything you need to know to take your blanket-bound entertaining to the next level. Here, they share nine tips for planning the ultimate picnic. 1. Budget your blanket real estate. Aim for about 9 square feet per person (a 5-by-7-foot blanket is great for three people but snug for four). There will be dirt and spills, so avoid using anything you’d hate to ruin, and stick to machine-washable materials. If the grass is wet, throw a vinyl tablecloth or a camping tarp underneath your blanket. Scout the ideal spot for your spread by making sure the grass is lush and dry, your neighbors are mellow, bees and other things that bite or sting are scarce, and the bathrooms and trash bins are close (but not too close). Once you find your spot, text a dropped pin of your location (or a detailed description). 3. Get a basket, bag or wagon. Hanel, Slonecker and Stevenson recommend a sturdy, flat-topped picnic basket like the ones made by Peterboro Basket Company. They’re festive and double as tabletops for drinks. If you don’t have a picnic basket, improvise with a canvas tote or a backpack. The Portland Picnic Society uses a little red wagon to schlep everything to their picnic site. Once it’s been unloaded, they fill it with ice and bottles of rosé. 4. Remember some easily overlooked essentials. To ward off potential picnic downers, pack a small first-aid kit, sunscreen and bug spray. Post-picnic, you’ll want to share leftovers with everyone, so bring a stack of to-go containers. And don’t forget the cardinal rule of picnicking: Never leave home without your corkscrew! 5. Know that any food can be picnic food. There’s nothing wrong with sandwiches and grain salads, but it’s fun to get a little ambitious. Seemingly delicate desserts like Pavlovas can be finished onsite, and even ice cream floats and paletas are possible with a brick or two of dry ice. For the Portland Picnic Society, deviled eggs are non-negotiable. If you fill and garnish onsite, the eggs will be fresh and gorgeous when served. 6. Keep food cold and safe. Transport temperature-sensitive dishes like mayo-rich salads in a cooler filled with ice (if you’re the nervous sort, pop a thermometer in the cooler to make sure it stays below 40 degrees), and be sure to return the containers to the cooler once everyone has taken their first helping. 7. Never run out of drinks. Mix cocktails at home and bring them in bottles, so there’s less fussing onsite. To keep guests hydrated, make sure you have plenty of water. Liquid is heavy, so it’s smart to ask guests to contribute. If you don’t have time to plan, throw a pop-up picnic: Stop by a great market on your way to the park and pick up everything you need for a no-fail menu: bread, cheese, salami, olives, nuts, fruit and chocolate. Drinks and a blanket are the only other necessities. 9. When the weather doesn’t cooperate, bring the picnic inside. In winter (or on rainy summer days), the Portland Picnic Society tosses blankets and pillows on someone’s living room floor. The scenery might be different, but the spirit is the same.